If you have a love-hate relationship with the beach but still want to be in the great outdoors without losing your sense of adventure, glamping is for you. 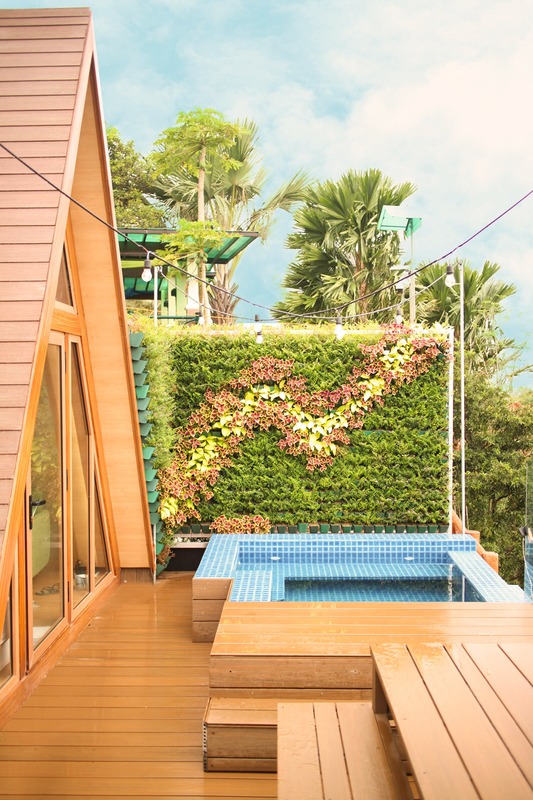 Bask in the sun, enjoy the greenery, and reconnect with nature. Who wouldn’t want to wake up to the beautiful views of Taal Lake, Tagaytay Ridges, and Mt. Makulot? 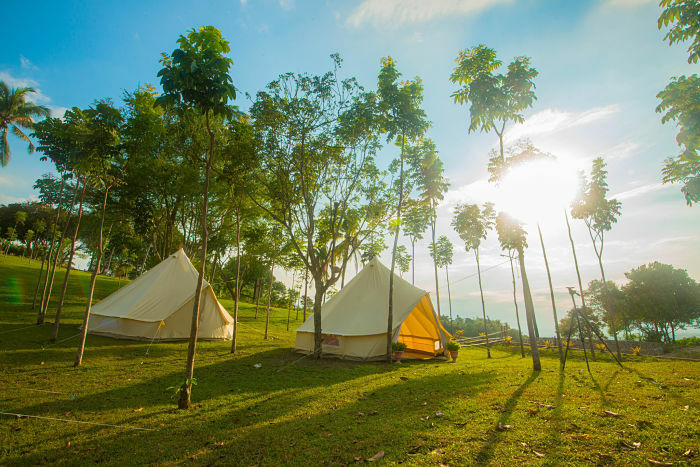 This glamping resort has a maximum occupancy of 130 persons, including tents. Situated 1,000ft. above sea level, it might as well be the best place to stay if you’re after the peaceful and serene company of mother nature. And speaking of tents, their Talisay cabins come with solo firepits so you can make s’mores and roast marshmallows indoors. Made for couples and big groups, Ultra Winds Resort’s Safari Tent lets you enjoy the picturesque view that is Bukidnon. 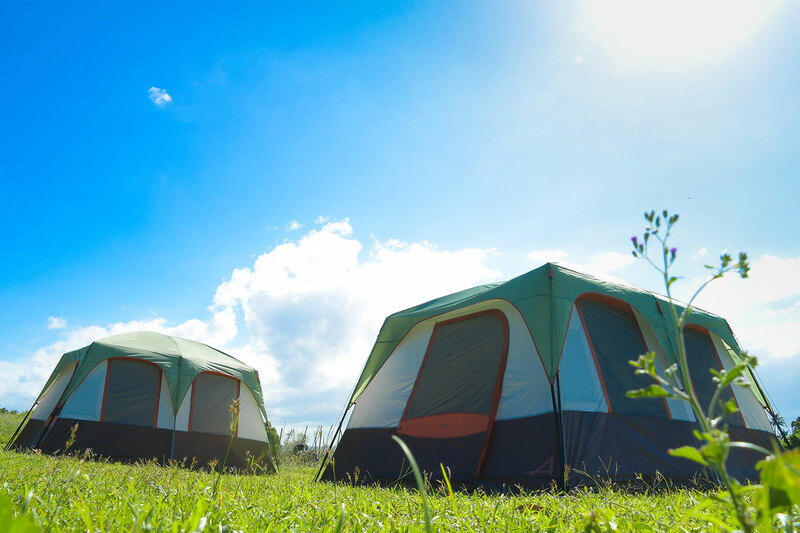 Hang by the campfire and sleep under the stars, and participate in other activities like horseback riding, zip-line, and karaoke (important). Waking up to the sound of crickets sounds ideal, add farm-to-table meals and it’s actually kind of perfect. Taal Maranan’s Farmville is the first organic farm in town, and their glamping site is located right smack in the middle of it. It’s work-friendly, but we suggest bringing nothing but your phone (and a camera) if you’re planning a trip. The best part? You can bring your fur babies, too. Their colorful tents immediately reminded me of Flotsam and Jetsam Hostel in La Union. Situated at another popular surfing spot, it’s only an hour or so drive from Baler. The concept is simple: Drown yourself in complete calmness between the sand and stars (see what they did there?). 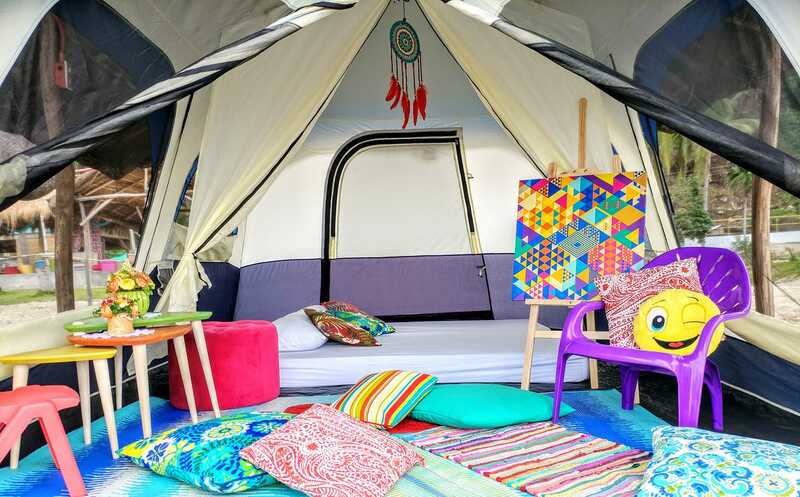 The tents come with pillows, mattresses, solar-powered lamps, a rechargeable fan, and electric sockets. Trade cottages for beach tents at Toby and Thelma’s. 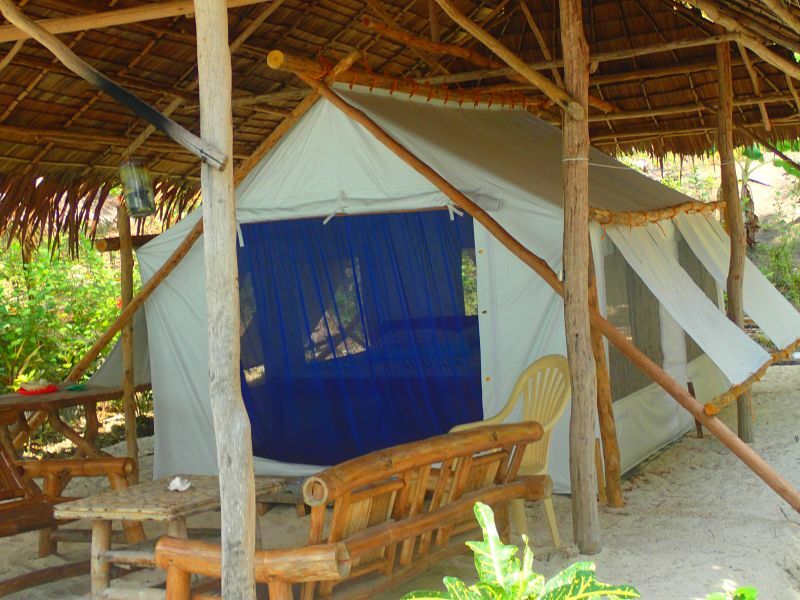 Located on the island of Palawan, this glamping site is approximately three and a half hours north of Puerto Princesa. It was started by a couple who have been residing in the area for more than 25 years. They offer activities like kayaking, volleyball, badminton, swimming, and offshore snorkeling (by request).